We want to thank everyone for a great RSA Conference last week. RSA is an important conference for us because it is a chance for us to meet with security professionals from all over the world, share our latest news, and showcase our customers&apos; best practices. 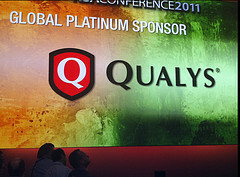 Visit our Qualys at RSA Conference pictures page to view photos from last week. We will be adding to our collection of photos, so check back for more pictures and videos to be added.